It is rarely that I bake anything in a loaf pan but when I do I like to have a nice container to store it in. I found this a few months ago on Amazon. 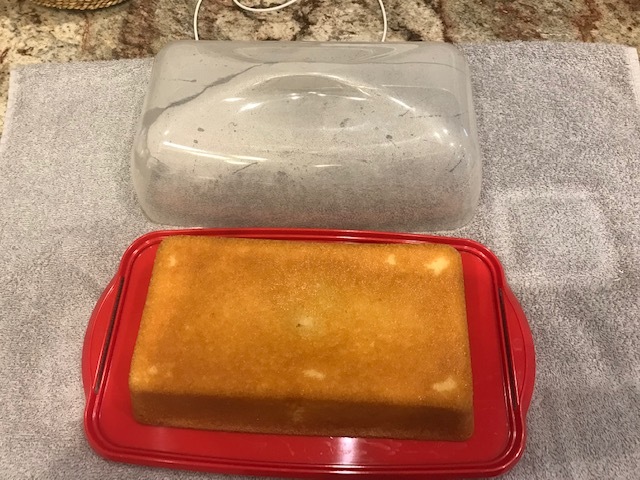 A couple of weeks ago I made our favorite Almond Pound Cake and split the recipe between two loaf pans and this was great to store it in. One went in the freezer for future use. My only dislike is the way it snaps together when you put the top on. It's not easy to do but I sort of have the hang of it now. 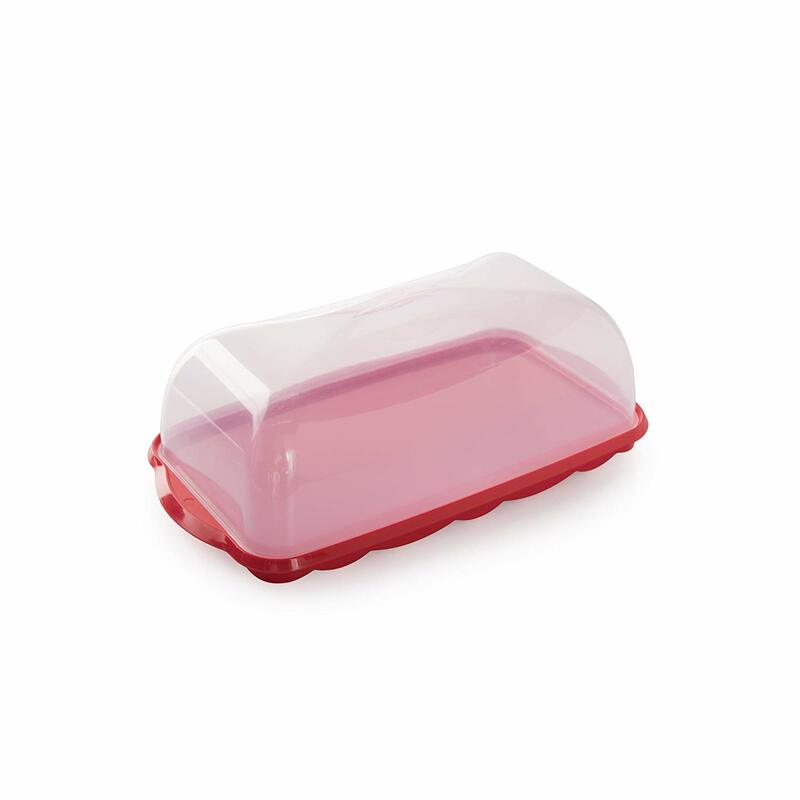 AND, I so wish there was a glass loaf holder with a glass top. I love loaf cakes and I also make dessert breads that I'd love to have one for. Surely I'm not the only person that would like to have one of these. In the meantime I'll continue to use this plastic one that doesn't have much presentation. Forever and ever I've used McCormick's chili seasoning and we love it. But, a couple of weeks ago my sweet young neighbor told me about Ballow's and how much their family likes it. So, I decided to give it a try this weekend. It's made with 2 pounds hamburger meat and 1 pound of sausage. I've never even thought of adding sausage to mine before but it was a nice addition. 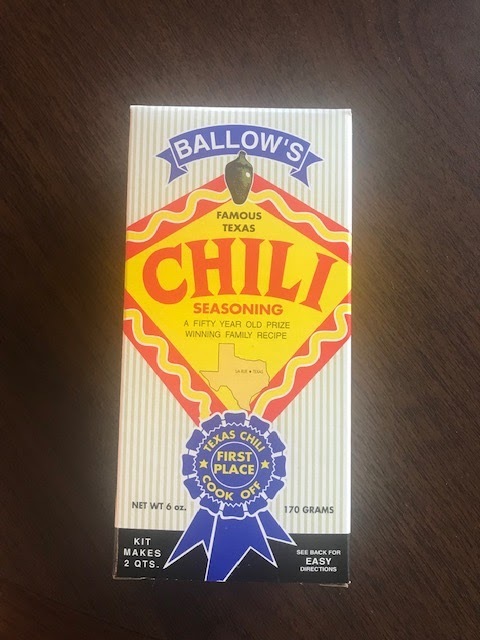 The Ballow's is a thick chili and I really liked it. It's highly seasoned but, for me, not too highly. 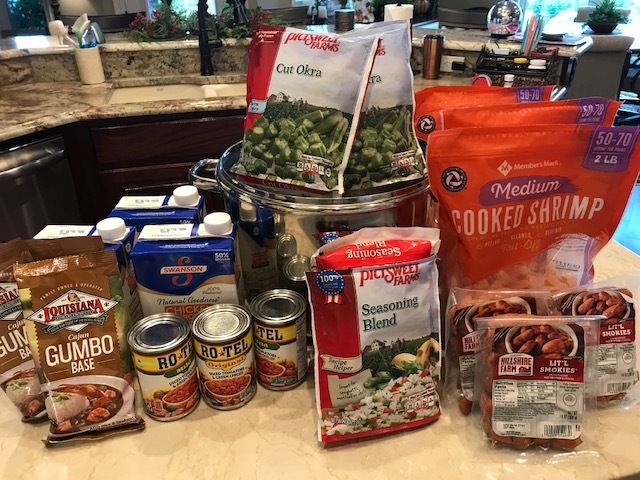 ~but I love highly seasoned food~ I don't think we would like the Ballow's for chili dogs or Mexican Stackups but for just eating a bowl of chili, I'll give it 4 stars. For local folks, Super 1 is the only place I was able to find it. 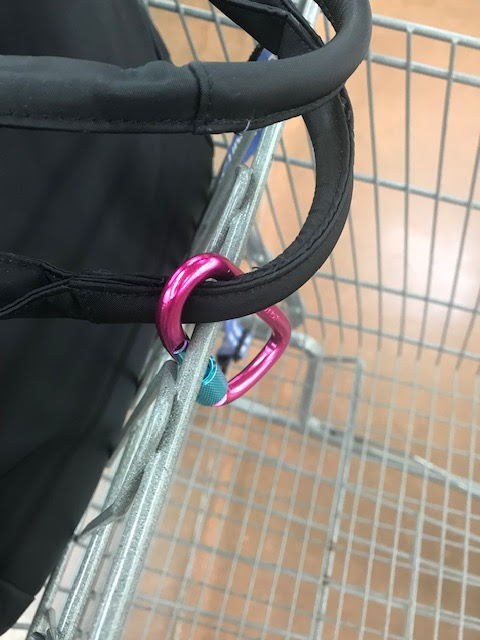 Some time ago one of my "besties" was telling me that she had gotten a carabiner to attach her purse to a cart that she might be using while shopping. Well, I thought that was a brilliant idea. I am always walking away from my cart to get something or look at something and it's the perfect opportunity for someone to grab my purse. So, I purchased myself some and I got the 3" size as they are big enough for a larger handled purse. I just leave my hanging on the handle of my purse for convenience but it's easy enough to remove and slip in the side pocket of your purse. As my husband said, they can still take your purse but it will certainly be a much slower process for them. And, I most always carry zip up purses so it's not easy to just reach in my purse and grab something either. 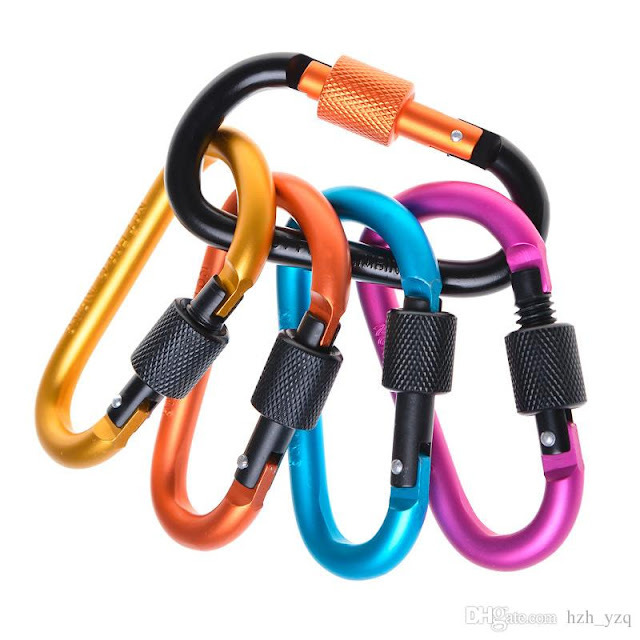 Anyway, I urge you to get yourself a carabiner too. 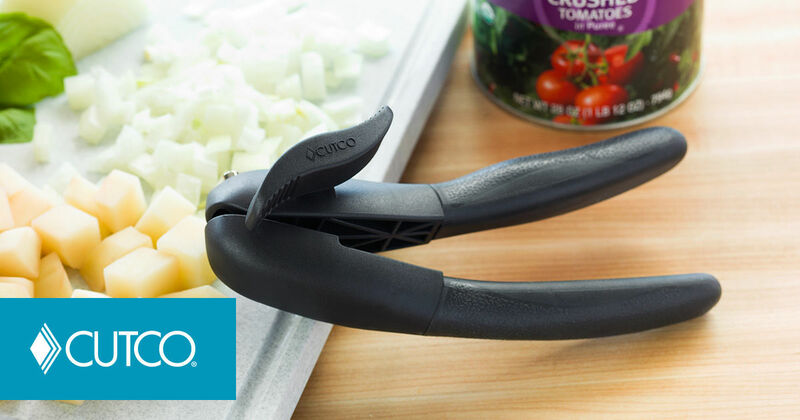 Ladies, I've owned a lot of can openers over the years but there is absolutely none that can compare to the CUTCO. It's smooth operation is unbelievable. I got mine about 2 weeks ago and it has made opening cans a breeze. I'm sort of thinking that my kiddos may need one for Christmas. I own the CUTCO knives as well and I give them a 5 star rating as well. I love tarts, they are just the right size dessert. I see the shells in the freezer section of the grocery store and always think that I'll try and make some. Well, last week I decided it was time to stop thinking about it and just buy them and give it a try. Dutch Ann is the brand that our Wal-Mart carries so I went with them. And, they are made in Historic Natchez, Mississippi, so they had to be good shells. 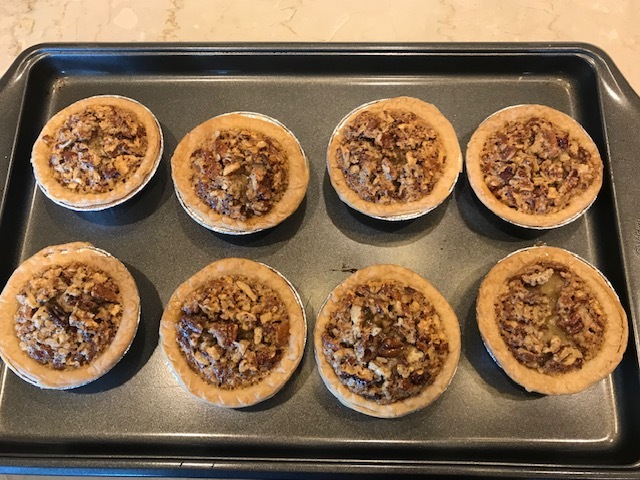 There was a recipe on the back of the package for Pecan Tarts so I decided to give it a try. 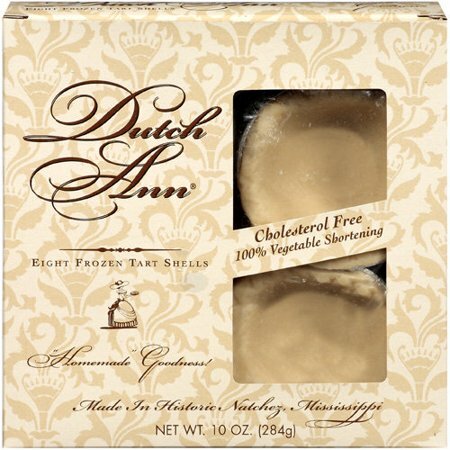 I love Pecan Pie and I thought these would be great to have for our Thanksgiving. 8 shells come to a package and I thought they turned out wonderfully. Now, I have not tasted of them but I'm betting they are going to be good. I packaged them up and placed them in the freezer and I'm thinking I need to make some pumpkin tarts to go with these. I'm pretty sure these are going to be a big favorite of mine for a long time. Tarts are just the right amount of dessert. 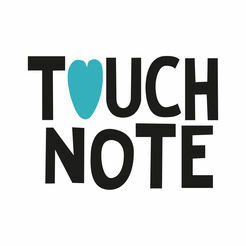 If you have not ever heard of the Touch Note app then you need to get it ASAP. 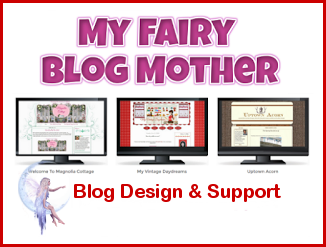 My precious blogging friend, Erin over at Perfectly Port talked about it on her blog a few weeks ago. I immediately loaded it on my phone and Ipad and have already sent 3-4 cards with it. 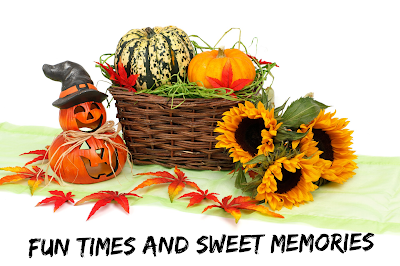 It is the easiest way to send a card and you can use your photos or their pre-designed cards. I used photos on the ones I have sent and I saw one that I had sent to someone and I was so very pleased. It was high quality and and the receiver was thrilled. They offer different monthly rates or you can just use it as needed. I have not signed up for a monthly rate but it is much less expensive if you do. I think the 5x7 cards I sent were about $5.00 each and that includes the postage. It is so convenient and sure beats having to go and hunt and hunt for just the right card. Give it a try! It's my new favorite way to send a card. Have you seen this book? 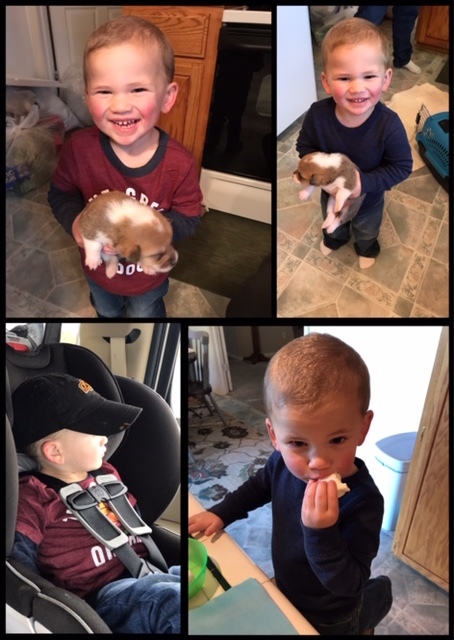 Well, it is so cute and of course, Reese is too! It's a book about her growing up in the South (Alabama) and she shares some of her favorite recipes from her Grandmother. And, there are lovely pictures too. It makes a great gift and I've already given it to one of my dear friends for her birthday. It's the kind of book you can just pick up and browse at your leisure. Now, go have yourself a wonderful new week!!! It's Saturday night and all I'm thinking about right now is getting these questions answered. I waited a little late to get started. Other than that I'm thinking about the most productive day that I have had today. A rainy day, I do not know. But, today was gorgeous but I never left the house, I stayed home and did bulk cooking and freezing. I haven't worked outside the home in a very, very long time. Anything with codeine as it makes me nauseated. It was after some dental procedure a hundred years ago that I found this out and thankfully I'm not sure I've needed any pain meds since that time. No, I can't stand pajamas, I'm a night shirt kind of gal. I can't stand anything on my legs while I'm sleeping. I do have some wonderful Soma pajamas that I call my "lounging clothes." Not at all. I rarely dream. 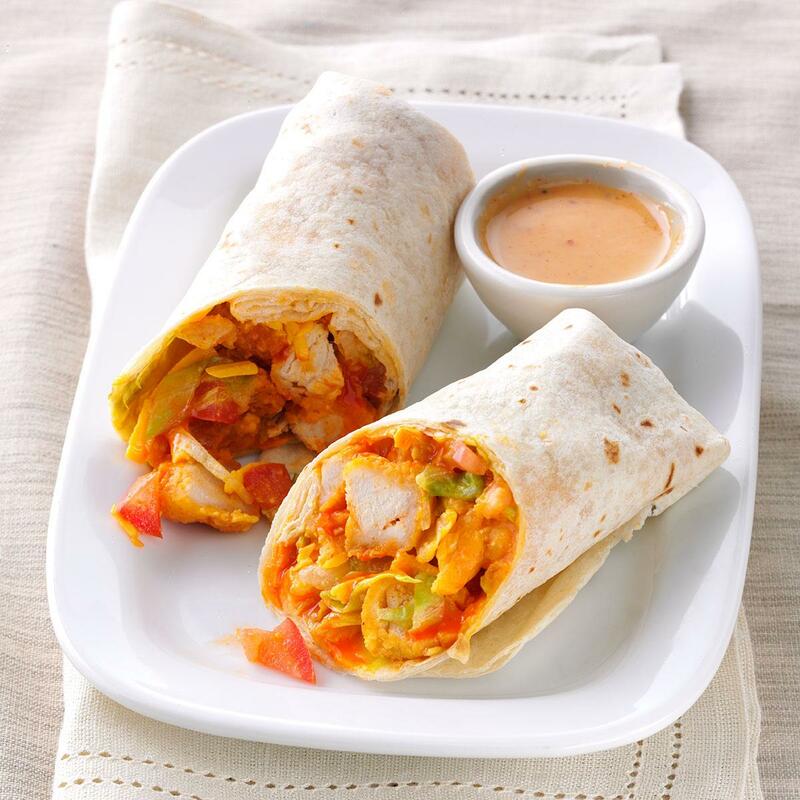 A Buffalo Chicken Wrap. The country club we are a member of serves these and they are so, so good. Now, they are highly seasoned but oh, so good and I think I could eat one everyday if possible. Heaven's no! I always remember that old saying, "fools names and fools faces are often found in public places." 15 Do you live in a town where basically everyone knows everyone else? Pretty much and it can sometimes be like living in a fish bowl or a glass house. Wishing you all a wonderful Lord's Day! Bridget wanted to have some fudge on hand to give as Christmas "happies." 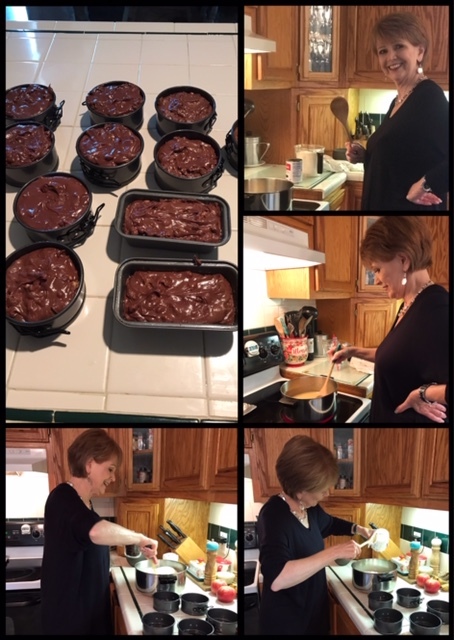 She leads such a busy life that I decided I would make her a couple of batches while I was there. We prepared them for freezing and now she can just pull them out when she is ready to use them. 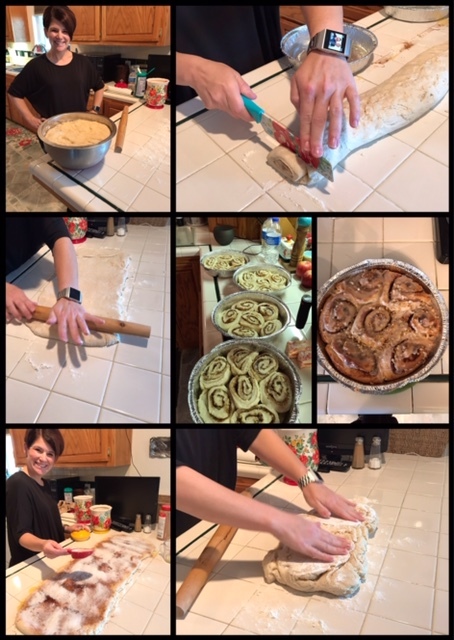 Bridget decided since we'd be in the kitchen and making a mess that she would make Pioneer Woman's Cinnamon rolls. Bridget is quite good at this process and I'm sure that Ree would be very proud of her. I'm not sure where she got her talent at this type of baking but wherever, she knocked it out of the park with these. We enjoyed eating one pan and she froze the other 4 pans. She's got quite the stash in her freezer for sure! 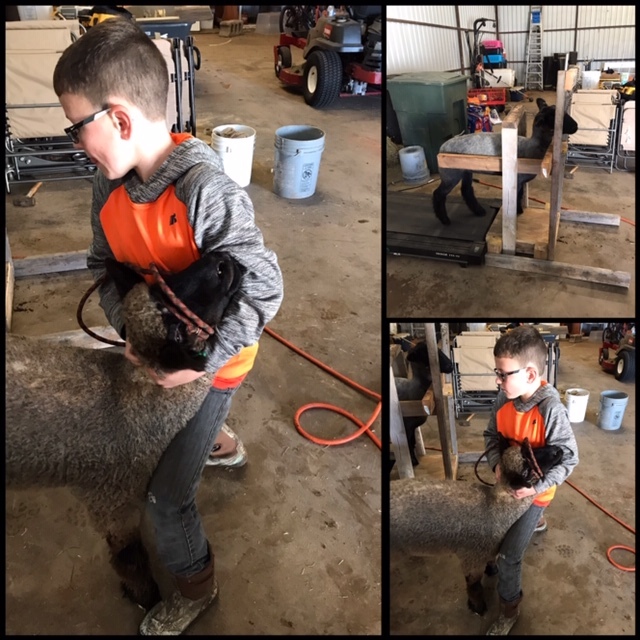 After cleaning up our mess in the kitchen we went out to their barn to watch Clancy work with his sheep. If you know any child that shows animals then you likely know that it is a WHOLE lot of work. It takes dedication and commitment. Clancy knows that to win a show his sheep have to be in the best of shape and he's willing to work to achieve that. I'm pretty impressed for sure! 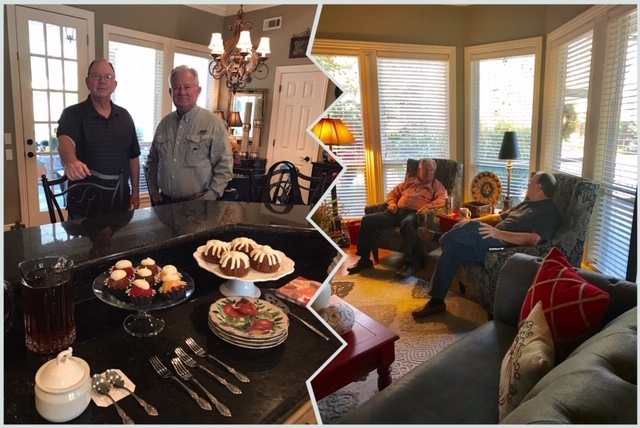 On Sunday morning we left Oklahoma and headed to see dear friends in Northwest Arkansas. 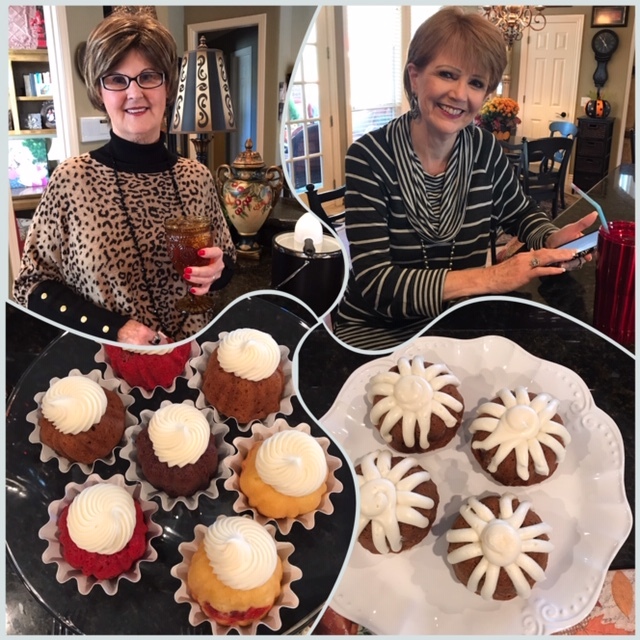 When we arrived, Diane had these cute mini bundt cakes and coffee waiting on us. The ones on the right were pumpkin with a cream cheese icing and were just delicious. It was the perfect refreshment after traveling a few hours. Dwight and Tommy make quite the duo. They both enjoy visiting and solving the world's problems and can easily entertain themselves while Diane and I go and "do our thing." Diane had arranged for the two of us to enjoy tea at The Crumpet and enjoy we did! 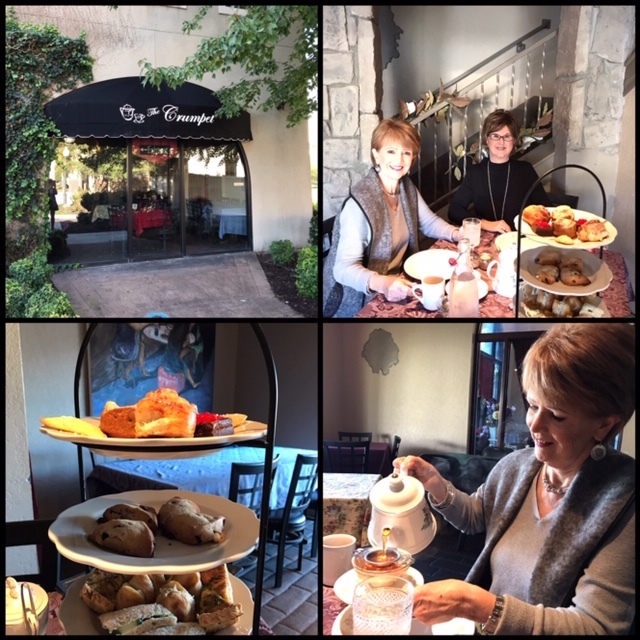 It was so lovely and the quiche, chicken salad sandwiches, cranberry scones, mini cinnamon rolls and orange citrus tea was delicious. It was such a treat and a great beginning to a fun day of shopping. 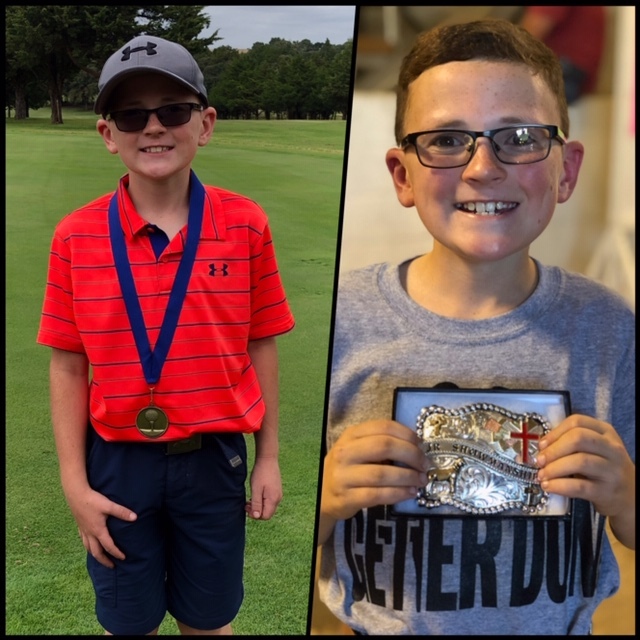 Yes, we had a fun time and made sweet memories in both Oklahoma and Arkansas. And, once again, Terri has given us questions to answer this Wednesday. 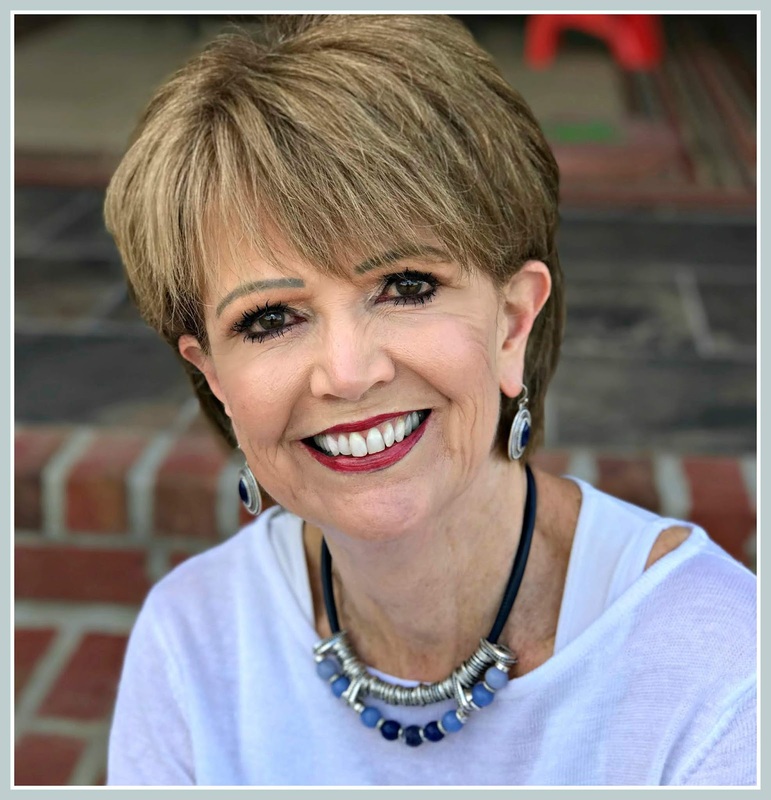 Thanks Terri, we appreciate you. No and No. The only time I have ever been interested in baseball was when our son played. He only played a few years and then went strictly to golf. I enjoyed watching him but I have no interest in it otherwise. I won't exactly watch the World Series but I'll likely be sitting in the room with Hubby while he watches and that is fine. I'll be on my laptop and it will only be in the background for me. 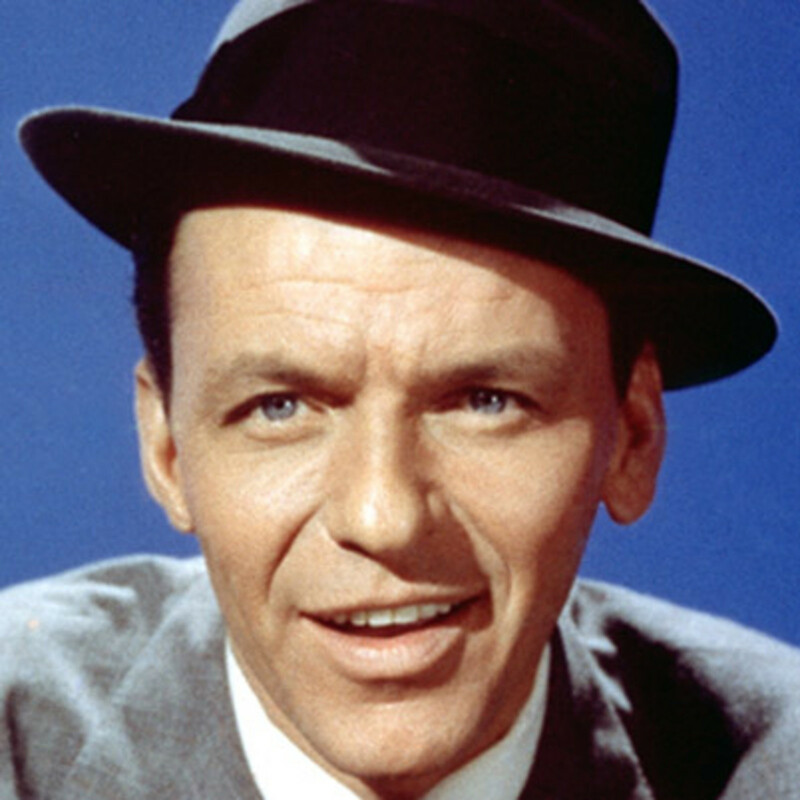 I like a lot of Sinatra's songs but the first one to come to my mind was "Come Fly With Me." Louisiana has not approved the sale of medical marijuana. I have no issue with it being approved by our state as it has so many benefits for certain health issues. 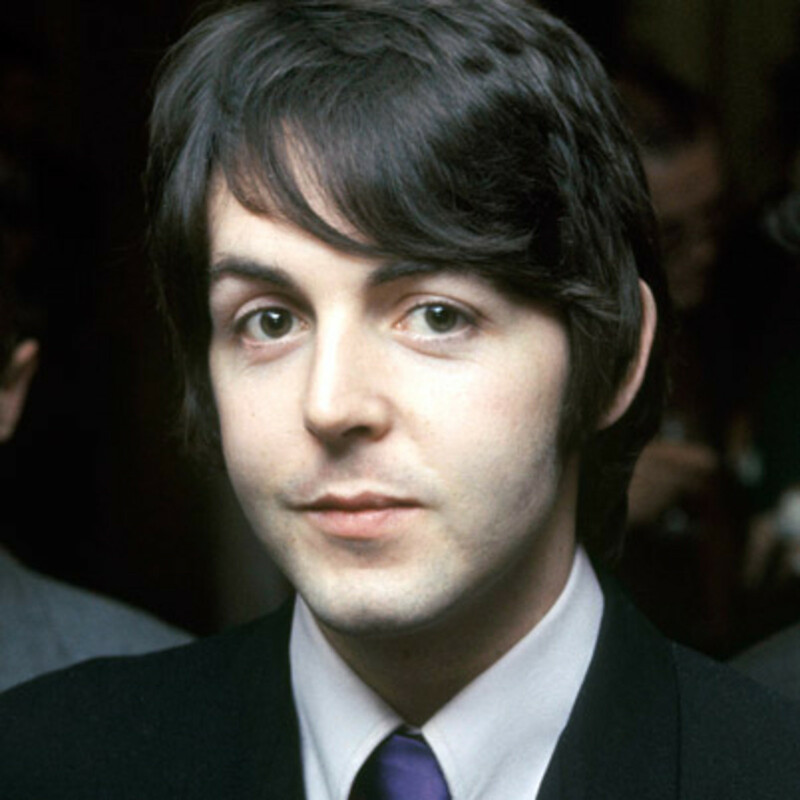 It would be "Maybe I'm Amazed" from 1970. We rolled in from our trip yesterday afternoon around 2:00. I immediately started the laundry, unpacking and going through the mail. It's the absolutely worse part of traveling as far as I'm concerned. I'll continue playing "catch up" today and should be "back on track" by tomorrow and I'll be "raring to go." It was a great trip and I'll be posting about it in the next few days. I make a Pumpkin Bread with walnuts that is absolutely delicious and one of my most favorite. 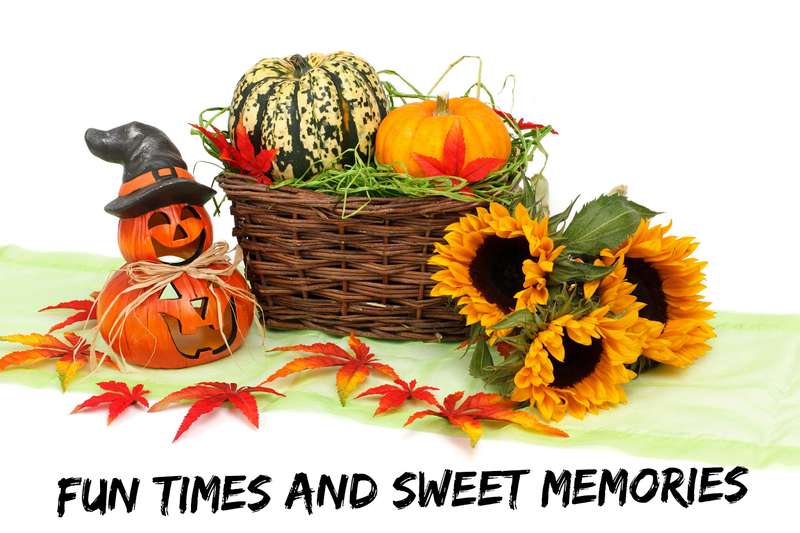 I think it makes it more special because we view "pumpkin things" seasonal and I always look forward to fall and eating all things pumpkin. 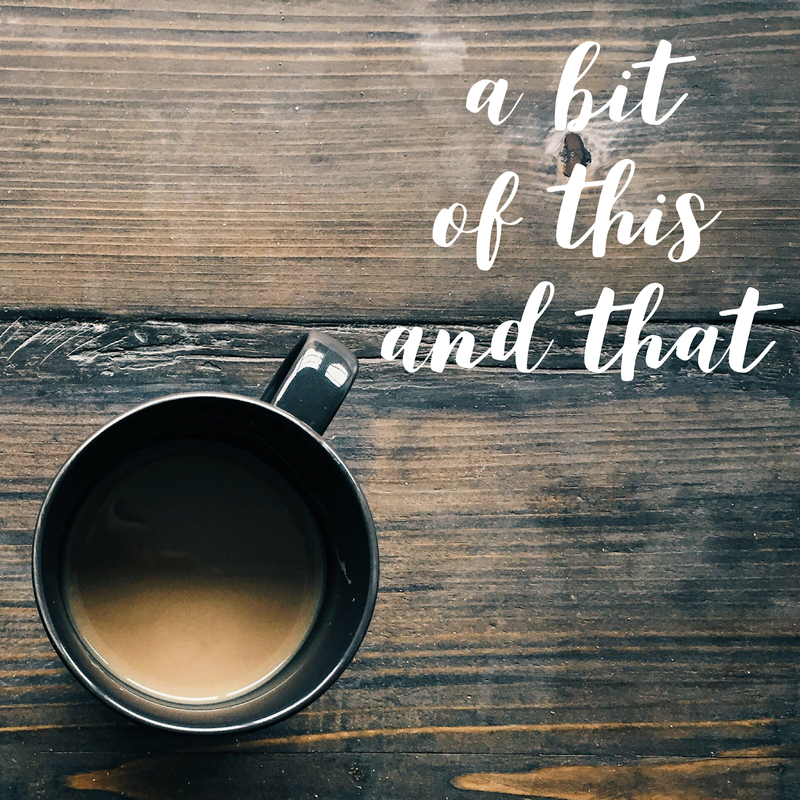 If you have been reading my blog very long then you know that I am a "straw snob" and all the talk of banning plastic straws has me concerned. So, I have a nice stash of them right now and will continue adding to that stash for as long as I can. 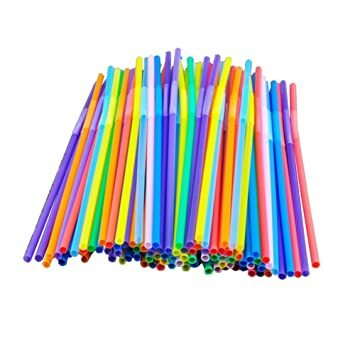 The thought of paper straws just does not set well with me. 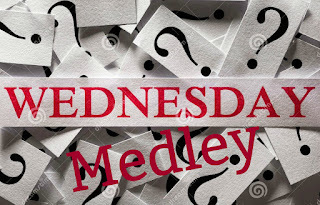 Humm....I can't think of a particular item but daily I marvel at any and everything that is available online, from information, to shopping to viewing. It's unbelievable! 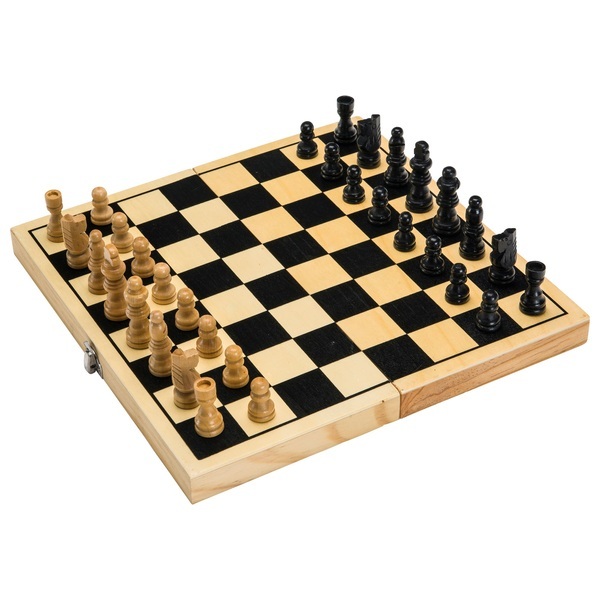 I do not and never have played chess online or otherwise. I enjoy Solitaire if I'm in a Doctors waiting room but never play it any other time. 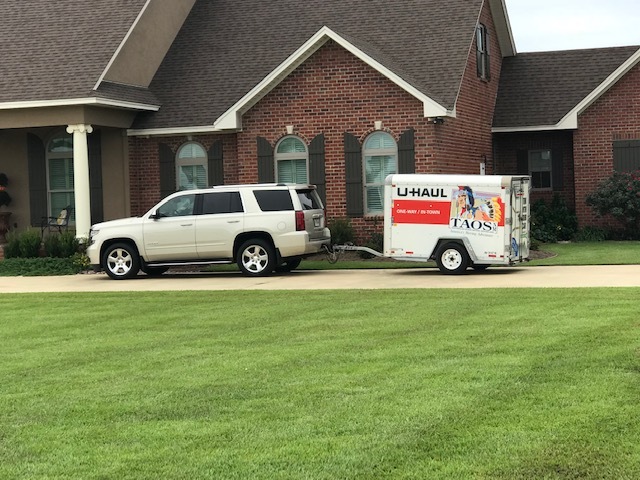 We will be heading out in the morning, as mentioned in my last post, pulling a U-Haul to Oklahoma. We'll be spending time with our daughter and family and then we'll come back home through Northwest Arkansas. We'll be visiting dear friends there and enjoy the beautiful fall foliage. I'll be back with you dears sometime next week. Remember to be a blessing! 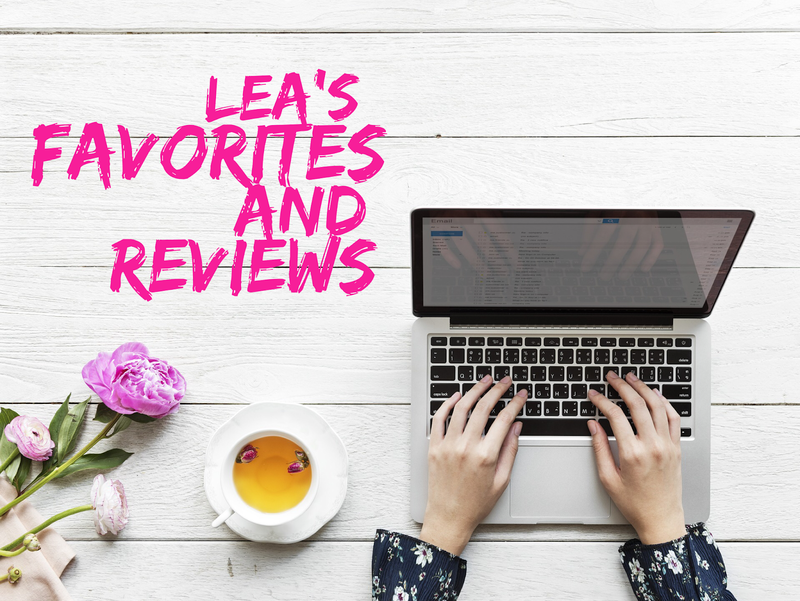 It's been a while since I've caught you up on all that's been going on and since I knew you were curious, I decided it was time to fill you in. It's all over the board too, but that's what keeps life interesting isn't it. 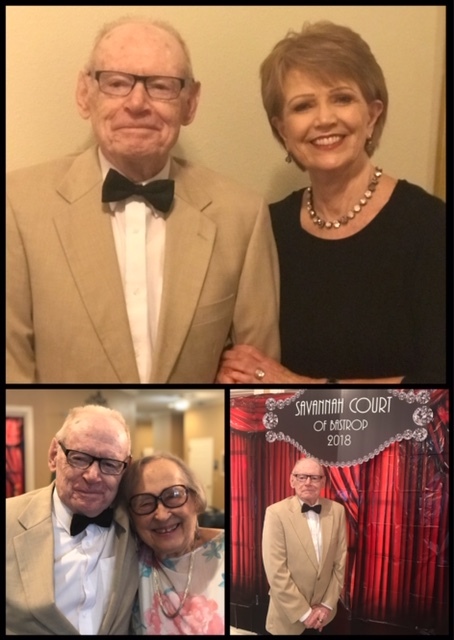 A couple of weeks ago the assisted living facility where my Dad lives had a dress up affair and invited the residents families to attend. Daddy really enjoyed getting all spruced up and I thought he looked so sharp. Here he is with Miss Jimmie, one of the sweet ladies on his hall. I'm so thankful we have this facility nearby and that he enjoys living there. NOTE: I guess the lens on my phone was dirty, thus the reason for these less than stellar photos. Isn't this table just gorgeous! This, my friends, was mine and Hubby's first ever kitchen table (we bought it 42 years ago) and chairs. It is made of Ponderosa Pine and served us well for about 30 years. It has been in storage at Hubby's office until recently. Our daughter decided that she would like to have it and since it had a lot of character marks and bruises she decided to have it redone. There is a gal here that does the most gorgeous refinishing work and we carried it over to her so she could work her magic on it. She did a mixture of chalk paint and stain. The chalk paint is a light taupe color but comes across as gray in the pic. The stain is a mahogany. We will be picking it up this Wed. and taking it to her in Oklahoma. Meanwhile, the gal that redid it has had it on display in her shop and I'm pretty sure she could have sold it many times over. Perhaps Bridget and her family will have it for another 42 years. I sure wish that I had thought to take a "before picture" so you could really see the difference. Last weekend I helped with a shower for a young couple. I have known the groom since he was born. 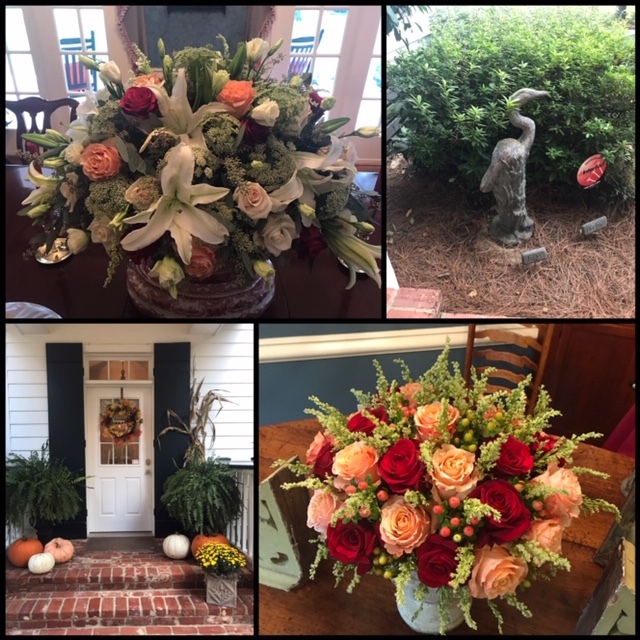 Everything was done in true "Southern" style with such flair. 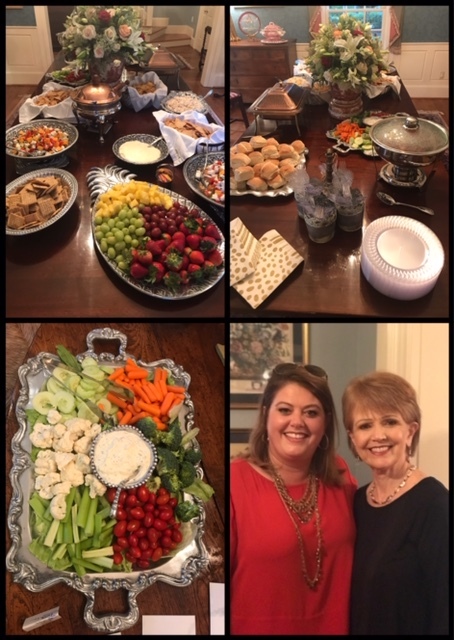 We had good food, good fellowship and enjoyed celebrating the couple. This is the grooms mother in the picture with me. I have known her since she was 12 years old and it doesn't seem possible that she could be a Mother of the Groom now. I have been on a cooking binge the past month. I always make and give fudge during the holidays and always begin making it early. 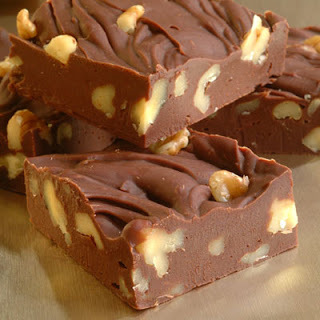 I have been making this fudge for close to 30 years and, even if I do say so, I've gotten really good at it. I already have quite a stash in the freezer. It freezes beautifully and it sure does help to be "one step ahead" when the holidays roll around. This past Saturday I made my first batch of gumbo for the season. When I make it, I make a whole, whole lot. It's just as easy to make as lot as it is a little. I had never made gumbo until about 10 years ago because I was afraid of making the roux base. A friend of mine introduced me to the Cajun Gumbo Base and I've been making it ever since. We had it for dinner Sat. and then I put 10 large containers in the freezer for us and to share with friends. I absolutely love having ready made food in the freezer. 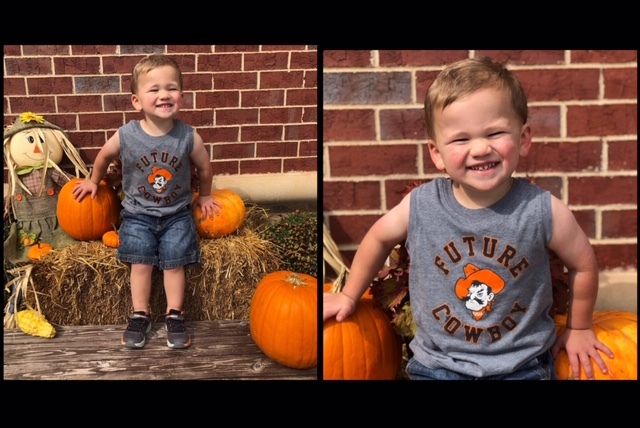 Coleman's daycare center has a cute pumpkin display and he wanted his Momma to take his picture by it. This child can "cheese it up" better than any kid I know. He smiles with his whole face! 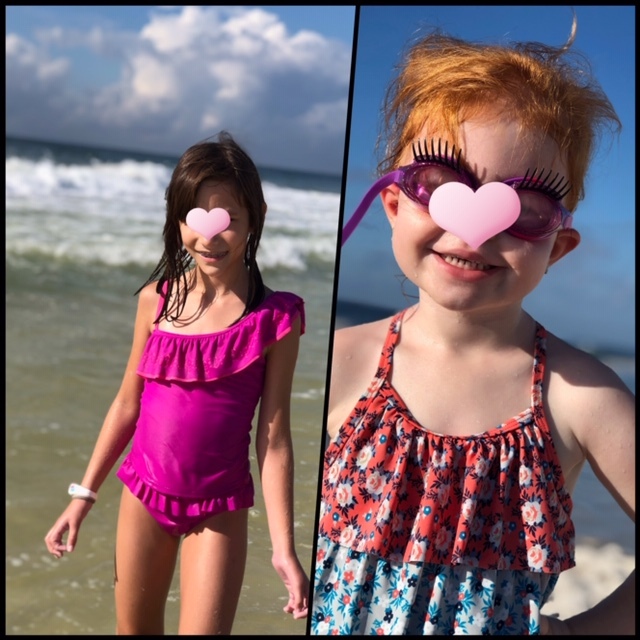 These girlies, along with their Momma and their other Grandmother went to the beach for Fall Break last weekend. It just so happened to also be Hanna Beth's birthday last Sunday so she had quite the celebration. They both love the beach and had a wonderful time. And, come this Thursday we will be headed out, towing one of these, to Oklahoma. 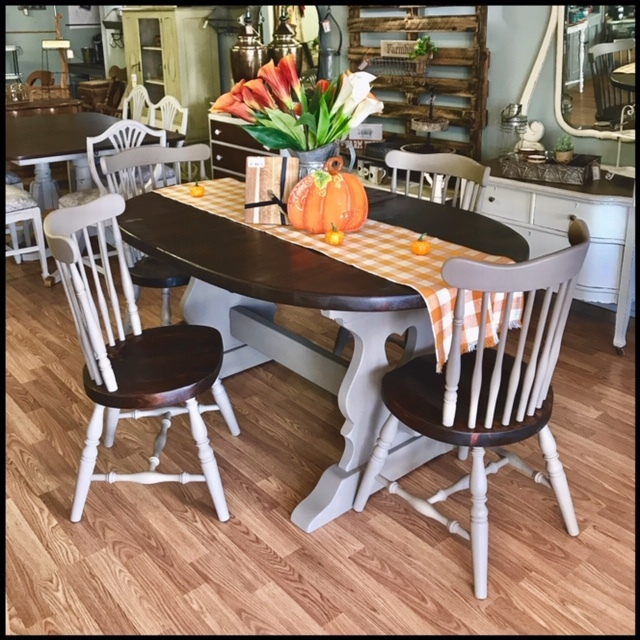 We'll be taking the above mentioned table and chairs and a couple of other pieces of furniture. 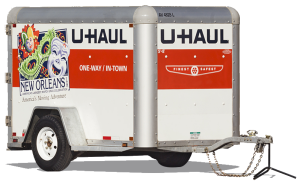 I think, if I remember correctly, that we said the last time we pulled one of these that it was our last time.~we're eating our words~ Hubby is quite good at towing but it makes me a tad nervous. remember to be a blessing to someone everyday. Bev always seems to come up with such interesting questions and today's are most interesting. It's all about phones and pancakes. What a combination!!! Well, 75% of the time it is this gal and I never tire of hearing from her. She may live 8 hours away but I'm not sure we could be any more in touch with each other even if we lived in the same city. She calls on her way to school every morning and on her way home. That way I get to share in her and the boys days. I would say that most days about an hour but I'm sure there are days that it's more than that depending on what's going on. I generally have a purpose when I make a call and that purpose may be nothing more than checking in with someone but none the less, it's important to me. ~and that's all that matters~ I'm never just chatting on the phone though, I'm generally multi-tasking while I'm talking so it works for me. On the phone, it would be my daughter as referenced in #1. No, the only calls I do not answer or the 800 numbers or some call from a really strange number. Those generally always happen around the noon hour. I don't really have any friends that work at this stage of my life but I would not call them at work unless it was an emergency. No time for chit-chatting when someone is at work. This question is not applicable to me but when it was I did not. I use my cell phone 100% of the time and we would not even have a landline if it were not for my husband's business. As long as he has his insurance agency he will have a landline so that his clients can find his number in the phone book and call him. I met Andrea about a year ago through our blogs and she is one of the sweetest gals and such a joy to know. She leaves the all time best comments, just seems to have all the right words. 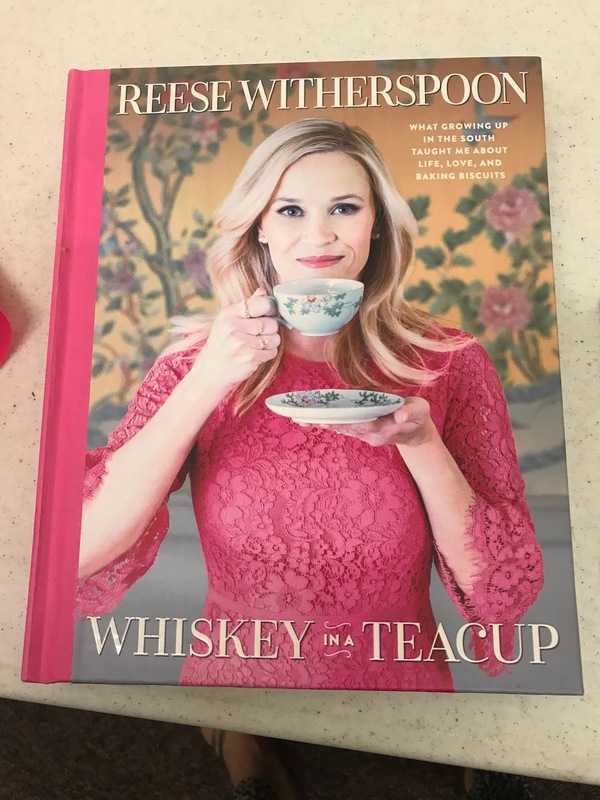 I would love to chat with her and perhaps one day we'll get to do just that over a good ole glass of sweet tea. She lives in Indiana and me in Louisiana, so it would definitely have to well thought out. ~smile~ You can find Andrea's blog here. And, might I add, there are many others, such as Lisa, Stephanie, Joyce, Katie, Barbara, Theresa and the list goes on and on. Oh, I have used a mix and they really are good but they just aren't that difficult to make from scratch. I don't even remember the last time I made pancakes but I use to make them quiet often when the kids were at home. 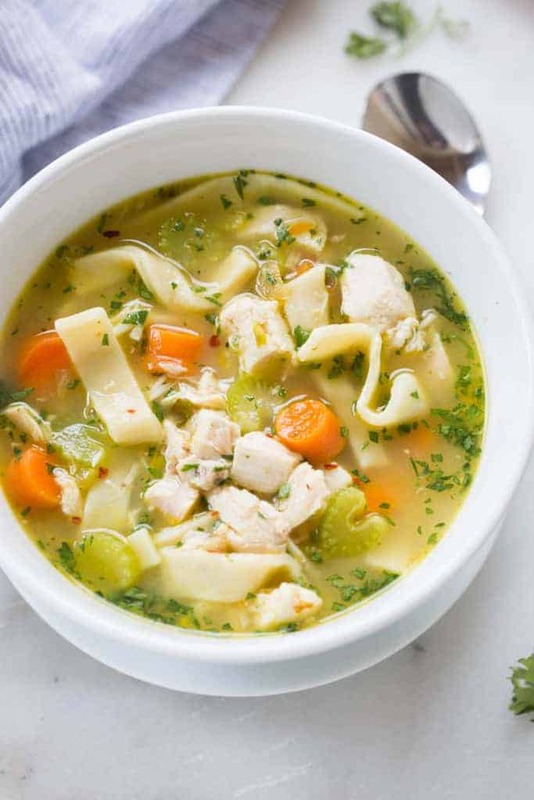 The recipe I use makes them very light and fluffy and not packy in the least. Just the way I like them. Pure and simple with butter and syrup only. Just do not care for "stuff" in or on pancakes. I don't generally have pancakes when I eat out at breakfast but IHop does have some mighty good ones. Here ya go! This is so very good and so very easy. Bake 1 can (11 oz) Pillsbury™ refrigerated crusty French loaf as directed on can. Cut into thick slices. Mix 3/4 cup packed brown sugar and 1/4 cup melted butter in 9-inch square pan. Line pan with sliced bread. In medium bowl, beat 6 eggs, 1 1/2 cups milk, 1 tablespoon real maple syrup and 1/2 teaspoon vanilla with whisk. Ladle mixture over bread in pan, making sure to soak each slice of bread. Sprinkle top of soaked bread with mixture of 1/4 cup packed brown sugar and 1/2 teaspoon ground cinnamon. Drizzle 2 tablespoons melted butter over top. Cover tightly with plastic wrap; refrigerate at least 8 hours but no longer than 12 hours. Heat oven to 350°F. Before baking, remove from fridge; uncover, and let stand while oven is heating.